Favoured drink of hip hop stars, victorious F1 drivers, posh people - basically anyone with fame, money and taste - champagne really is as good as its reputation. And yes, there's a difference between bona fide Champagne and its sparkling alternatives. We're not knocking a good bottle of Prosecco, but if you really want to kick your stag party off in Jay Z style it's Dom or nothing. Pros: light, frothy and awesome. Champagne gets the party into gear like a limo full of naked dancing girls. Plus if you drink it all night, you don't get a hangover. True. Cons: hella expensive (the good stuff can be £200 a bottle in a club, and that's a conservative estimate). Must try: Dom Perignon. If you don't fancy spending more on a glass of bubbles than you would on a pair of decent running shoes, go for a reasonably priced alternative like Laurent Perrier or Oeil de Perdrix. It's a stag party classic, and it gets in the mix early on any wild weekend. Beer is a beautiful thing in all its incarnations. Ale, lager, stout, artisan... whatever your poison, it's what you'll drink when you're chilling at the bar with the lads after dropping your bags off. And it's what you'll be drinking to try and calm that headache down on Saturday afternoon. Choose your strength wisely, or bow out early. Pros: tasty, ubiquitous, something for everyone. Nothing satisfies like a beer. Cons: Loads of volume, can be expensive if you drink the imported stuff. Sessions can be disastrous. Must try: local beers. What's the point of taking your stag party on tour if you don't adopt a brew you can't get back home? Barcelona has Estrella, Hvar has Vunetovo. What's your poison? Ah, cocktails. The portion of any self-respecting stag party where the boys have drunk enough beer to believe they're either James Bond or The Dude. For this reason alone, cocktails are awesome. It's not often a feller gets to say 'shaken, not stirred' and mean it. Or shamble about in a dressing gown declaring 'The Dude abides'. Note: don't wear dressing gowns in bars. Pros: Cleanse the palate, actually taste pretty good, give you licence to act like film stars. And some are on fire. Cons: Stronger than you think, expensive. And some are on fire. Must try: a Flaming Zombie. Just don't expect to have any eyebrows/hand-eye coordination left when you're done. Pros: every stag party needs a hero's test. Apparently. Cons: massive alcohol effect, impossible to tell what kind of reaction a shooter will have with everything else you've drunk already. Must try: anything and everything. Single-drink shooters are for people who don't really want to do shooters. Monkey Brains, Squashed Frog, Flatliner, the shots are as artistic and terrifying as their names. Making up your own is a sure sign that your stag party has reached the point of no return. After the champagne, the beer, the cocktails and the shooters, two things happen: you spend an hour dancing like a 16 year old to choons you thought had gone the way of the dinosaurs, then you feel a strong urge for bed. And it is at this precise moment that the worst, most ubiquitous and almost certainly sob-inducing idea in stag party history kicks in. If you must do it, at least do it right (see our blog on stag party playlists for more): it has to be 'Whisky in the Jar' by Thin Lizzy. Or 'Have a Drink on Me' by AC/DC. Cons: It's a really bad idea. 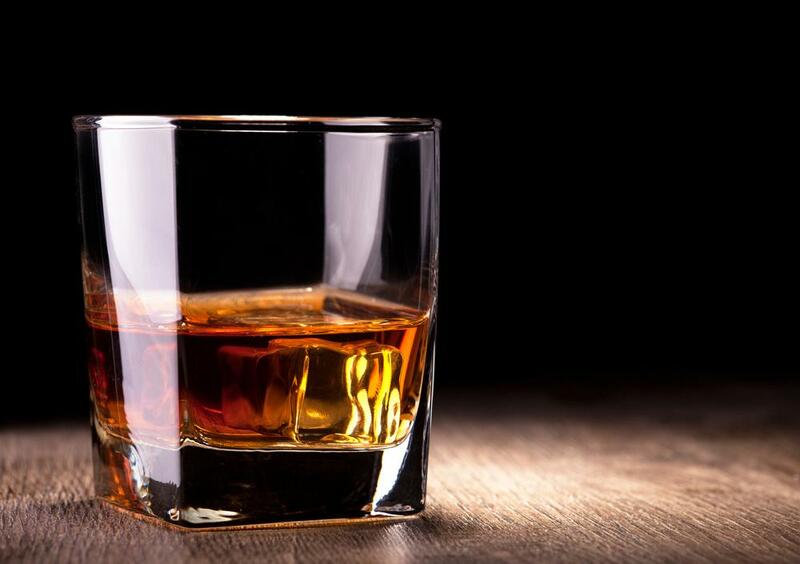 Must try: Whisky or whiskey? Without the 'e', you're drinking solid-gold single malt Scotch. Hit Lagavulin or Caol Isla for a smooth dram, and add water to taste. Whiskey with an 'e' can include bourbons - don't head for the Jack if you want to go home with your stomach lining. Four Roses is the way forward. NOTE there's fun and there's stomach pumps. Drink within your limits, don't be offensive, don't wake up in hospital. That is all.